Zucchini Bread and Zucchini Muffins! This week I am directing a camp on a farm! You know what that means? Tons of fresh veggies to work with! 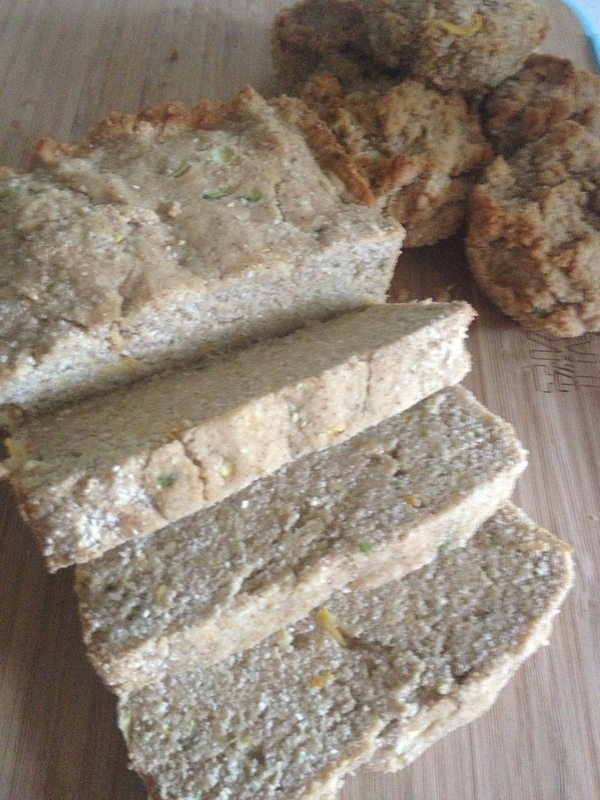 On the farm, we used our solar oven to roast some zucchini’s, but the kiddo’s requested Zucchini Bread/Muffins, so this post is for all you Zucchini Bread Lovers! In one bowl, sift together flours, baking soda, baking powder, pumpkin pie spice, and nutmeg. In a separate bowl whisk together the egg replacer, honey, almond milk, vanilla, and applesauce. Add the Zucchini to the wet mixture. Add the dry mixture and combine well. Place 1/4 C of the mixture into cupcake tins, sprayed with non-stick cooking spray. Bake at 350 degrees for 30-45 minutes, until golden brown. To feeling alive!